This beautiful silver bracelet comes from Niger and is worked in a very fine manner and is light weight. 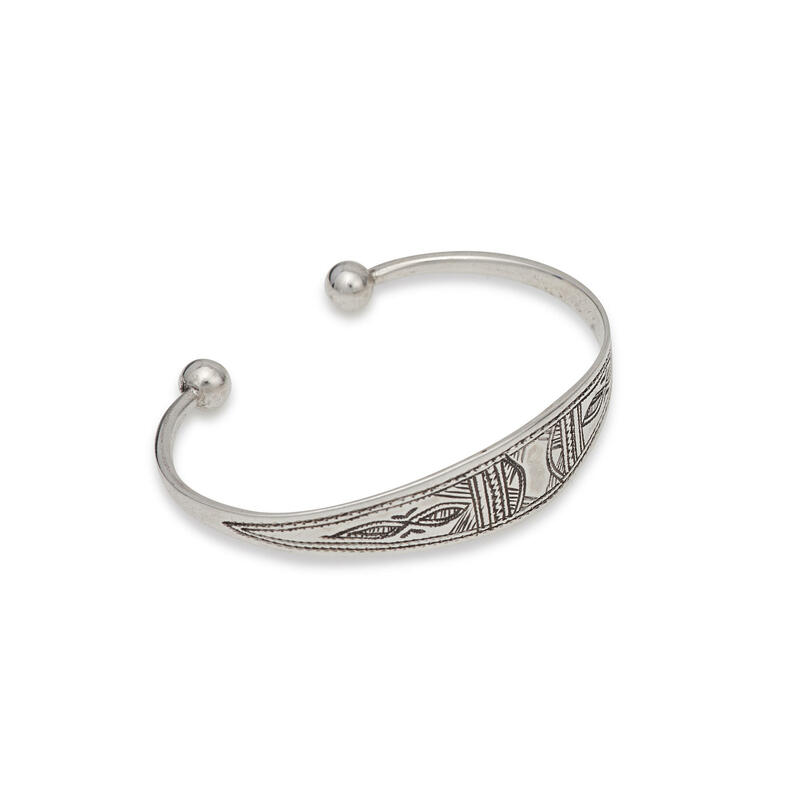 The bangle was handmade by Tuareg craftsmen in Niger. The motives are blackened with charcoal. The shapes on the central horizontal line of the bracelet show an Abzgin leave. This plant has healing power and is especially good for stomach problems. When a woman is giving birth, she takes a bath in a brew of this plant and this is supposed to bring luck for the baby. Further this beautiful silver bracelet is marked by small vertical stripes which resemble dunes of the desert and waves.